Chip timed. Fully signed. Refreshment checkpoints. 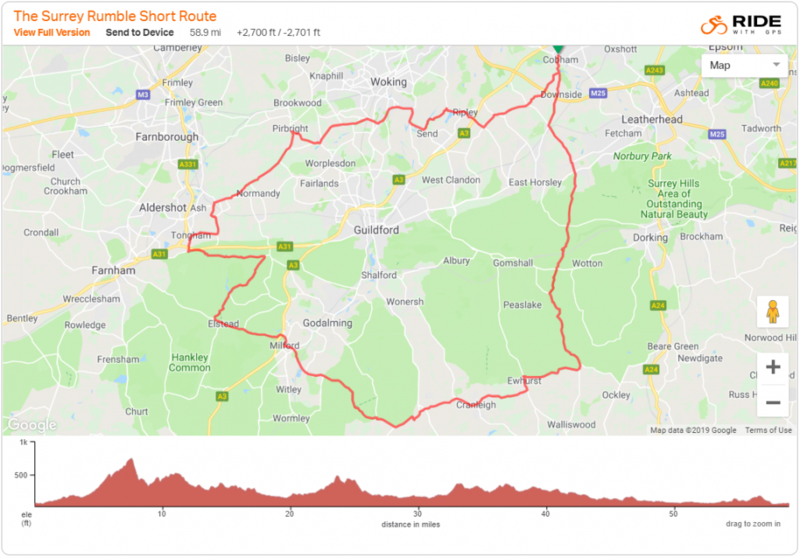 The Surrey Rumble runs over 80 mile [125km] and 60 mile [95km] routes through the Surrey Hills in out and back loops from event HQ at Cobham Village Hall. This friendly event is managed and run entirely by club members, with the very sensible exception of first aid provision. 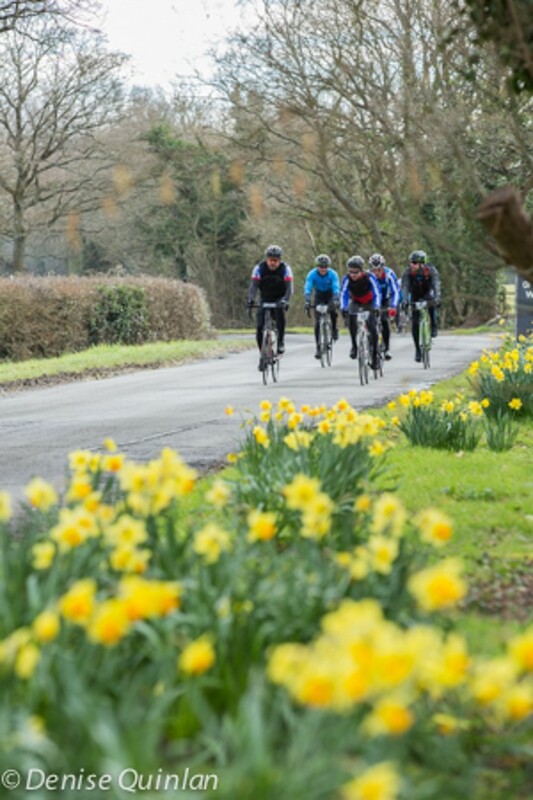 It has grown from 50 or so riders in its first year to 400+ entrants in the last few years. 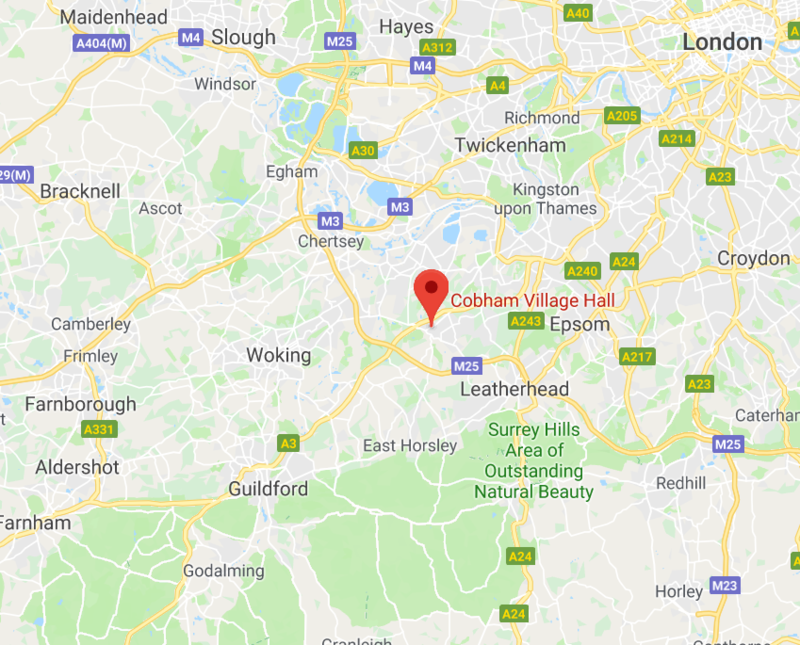 Checkpoint & refreshment points are at Fishers Farm and Tongham Community Centre, both of which we are very grateful to for their very kind assistance. Every rider will be provided with a number with an inbuilt chip device. 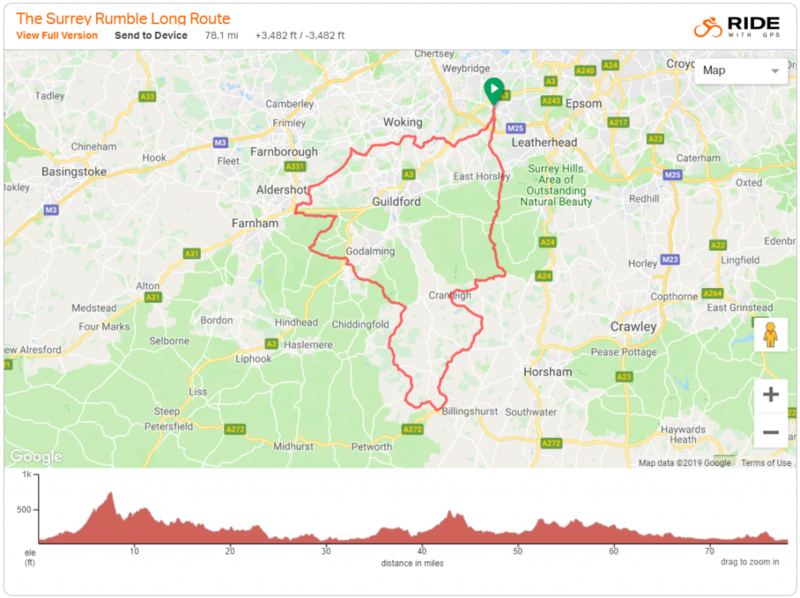 GPX files are accessible from RidewithGPS using the links above. Please note that, as with all such events, the route may be subject to minor changes to deal with eg. road closures, to ensure a safe event.